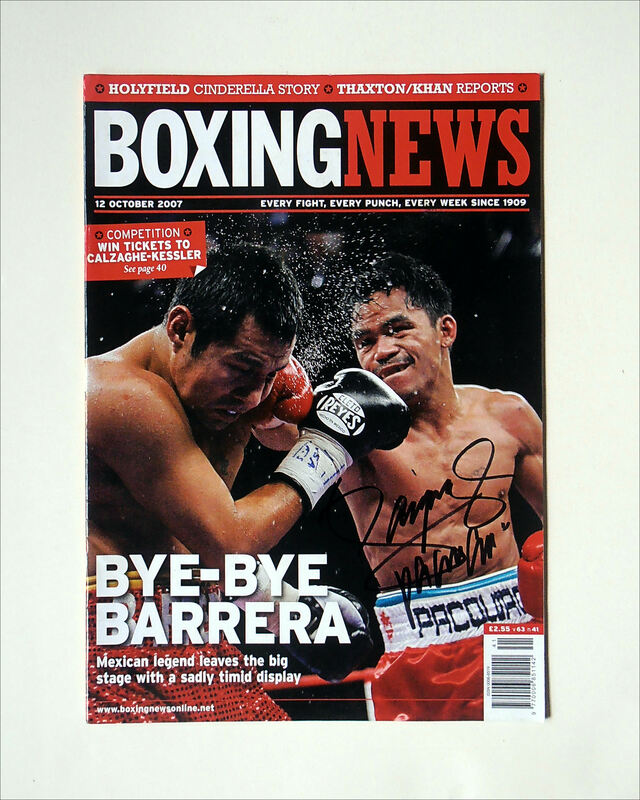 Description : Here we have an authentic Manny Pacquiao autographed 'Boxing News' publication which covered the rematch that took place on October 6, 2007, Pacquiao defeated Barrera in their rematch via an easy unanimous decision. 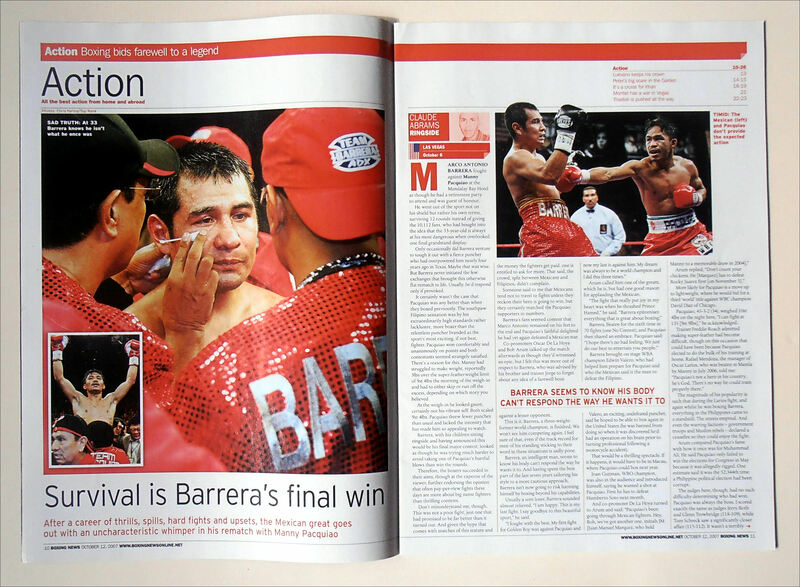 In the eleventh round, Pacquiao's punch caused a deep cut below Barrera's right eye. Barrera retaliated with an illegal punch on the break that dazed Pacquiao, but also resulted in a point deduction for Barrera. 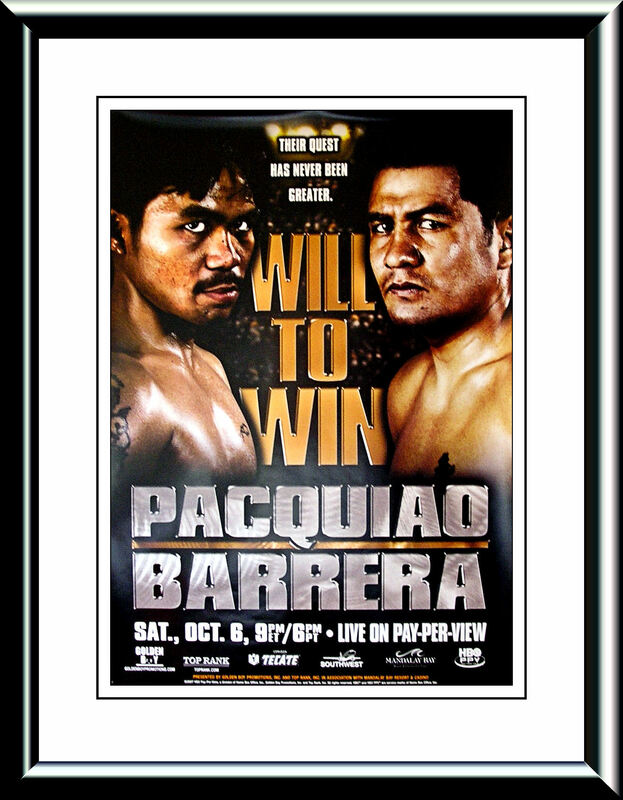 Two judges scored the bout 118–109, whereas the third scored it 115–112.